Rediff.com » Business » Want to insure your car against tree falls, flood damage? Want to insure your car against tree falls, flood damage? Buy comprehensive motor insurance policy to guard against natural calamities, experts tell Priyadarshini Maji. Whenever thunderstorms, dust storms or heavy rains hit one part of the country or another, many vehicles are reported to have been damaged. Newspapers and television channels often show images of cars smashed by trees that have fallen on them. If the engine, body or wind screen of your car gets damaged in such an event, you can file a claim for damage from your insurance company, provided you have a comprehensive motor insurance cover. Some time ago, a dust storm had hit the National Capital Region. Shisir Kumar, who lives in north Delhi, found that a massive tree trunk had fallen on his four-month-old Baleno which was parked outside his house. Luckily, he had a comprehensive insurance cover and the insurance company reimbursed him for the damages. Motor insurance policies have two components -- own damage cover and third-party cover. While own damage covers loss caused to your car, third-party cover is for loss caused to a third party. Damage to a vehicle is covered if it is caused by flood, hurricane, storm, cyclone, hailstorm, fire, explosion, earthquake, and landslide. The car is covered even if it is in transit on the road. "Make sure that your insurance policy is active at the time of the accident as you have to submit all the documents as mentioned in the claim form. If you have missed or delayed renewal, it can affect your claim approval," says, Sasikumar Adidamu, chief technical officer, Bajaj Allianz General Insurance. If your vehicle gets damaged by a natural disaster, you should inform the insurance company immediately about the damage that has happened. "If you get your car repaired on your own without informing the insurer, your claim may get rejected. This is because the insurer will not be able to assess the damage done to your car once it has been repaired," says Puneet Sahni, head-product development, SBI General Insurance. Insurance companies inspect the damage and estimate the cost of repair after an incident. They will not be able to do so if the car has been repaired. It is important to go through the fine print of a policy before buying a cover. Insurance companies mention exceptions and exclusions in the terms and conditions. Even though your car may be insured, the insurance company can refuse to honour your claim in certain circumstances. Most of the exclusions are common across all insurance providers. The insurer will not make any payment if the insured cannot prove that the loss or damage to the vehicle happened accidentally and was in no way caused intentionally. Damage to electrical accessories within the car are not covered unless the value of electrical accessories has been added to the coverage while buying the policy. On-the-spot assistance will also not be provided unless the policy includes the roadside assistance feature as part of its coverage. Similarly, if your vehicle's engine gets damaged when driving through a water-logged area, the insurance company will not cover even if you have a comprehensive motor insurance cover. It will only be covered if you have taken a separate engine protector as an add-on cover. "Certain parts of a vehicle are covered only under add-on policies. Hence, it is important to opt for add-on covers such as engine protector, roadside assistance and zero-depreciation cover," says Amitabh Jain, head-motor and health underwriting and claims, ICICI Lombard General Insurance. Add-ons extend the coverage provided by a comprehensive policy. Similarly, depreciation on tyre, rubber and plastic parts are not covered by the insurance company. Only if you buy a zero-depreciation policy at the time of purchasing a motor insurance policy will the insurance company pay for such damages. The premium of a comprehensive motor cover rises when you buy add-on covers. For instance, for a car with an insurance declared value (IDV) of Rs 737,000, the yearly premium for own-damage and third-party cover comes to around Rs 15,600 per annum. But if zero depreciation and engine protector add-on covers are taken along with the policy, the premium rises to Rs 20,000 per annum. 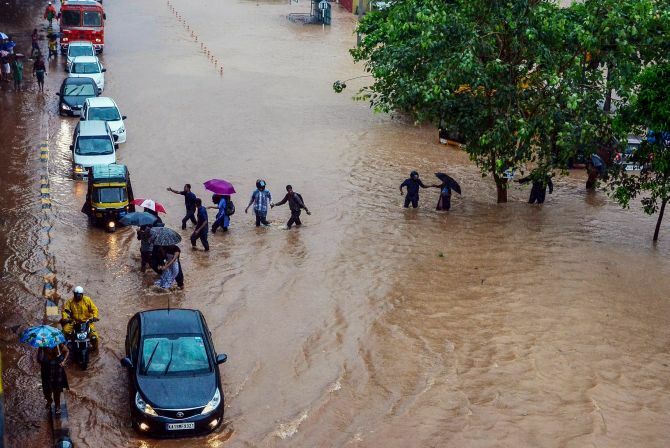 "For those staying in flood-prone areas, it is wise to opt for add-on covers such as engine protector and 24X7 assistance, even though this may drive the premium up," says Anurag Rastogi, member of executive management, HDFC ERGO General Insurance Company. Should you buy insurance when single or married?